The workshop is open to all but please register by completing this form until Monday, 14 May 2018. Richly illustrated costume albums produced since the mid-sixteenth century provided armchair travelers and real travelers alike the opportunity to page through single figure costume studies and genre scenes from societies near and far. 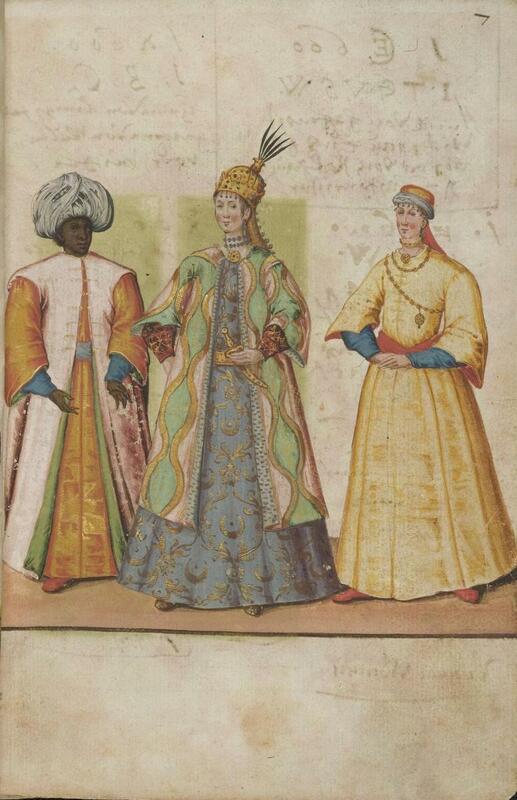 These books of watercolors and their printed counterparts displayed exotic clothes and customs from within Europe, the Ottoman Empire, Central Asia, Sub-Saharan Africa, and the New World. Such images remain critical for our understanding of the early modern world and are used regularly as illustrations in museums and textbooks. Scholars have variously called them proto-ethnologies, handheld cabinets of curiosities, encyclopedic travel guides, and critiques on local fashion trends. Yet very little is known about the albums themselves and their contexts of production and consumption. At nearly the exact same time that the earliest costume albums began circulating, another type of album also grew in popularity: the friendship album or album amicorum. These books of signatures, inscriptions, coats of arms, and collected visual materials developed from a student preoccupation in the mid-sixteenth century to a must-have item for travelers. This workshop brings together a group of scholars working on both types of albums and those objects that blend the two media to explore imperial contexts, materials, artists, patrons, layered inscriptions, and the re-use of images. Presenters will each give papers on their current research or an ongoing project. There will also be a series of object presentations in a round table format introducing single manuscripts and their problems. followed by closing remarks and a small reception.